In the 90 years since the International Academy Of Motion Picture Arts And Sciences was formed in 1927, only one of its many members (current population: 6,000) has ever been kicked out. His name is Carmine Caridi, and in this Oscar week, he gives his whole story to The Hollywood Reporter. 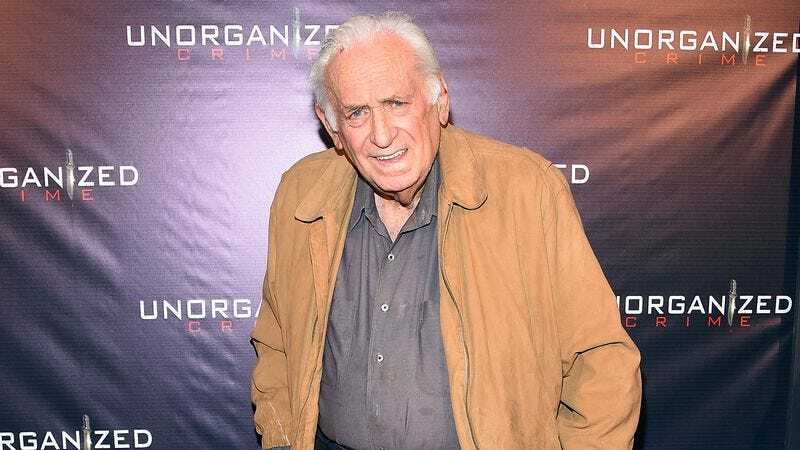 You might recognize Caridi from some character roles in the 1970s, when he appeared in sitcoms like Phyllis and Mary Hartman, Mary Hartman; dramas like Quincy, M.E. and Starsky And Hutch; and films from Car Wash to The Godfather Part II. Offscreen, Caridi’s life was also filled with drama. He was originally cast as Sonny Corleone in The Godfather, but when Paramount head Robert Evans ordered the cast shuffled around a bit, he lost the part. Afterward, “I was a dope addict,” Caridi tells Hollywood Reporter, and he was arrested after selling cocaine to an undercover agent, leading to a stint in a federal penitentiary. Once he got out, a repentant Francis Ford Coppola cast Caridi in Godfather II, and Caridi’s career was restarted. After his appearance in Sidney Lumet’s 1981 film Prince Of The City, he was invited to join the Academy, which put him on the list to receive VHS screeners. Unfortunately, one of those people turned out to be Russell Sprague, who Caridi met briefly in Chicago. Learning of Caridi’s screener hookup, Sprague asked for access and then proceeded to distribute the screeners on the internet in 2004. The screeners were easily traced back to Caridi, leading to his expulsion from the Academy.